Monsoon season proves to be harmful for your hair as your maximum hair fall happens during the season of monsoon. Hair fall can also happen due to unhealthy scalp, fungal infections, dandruff and weak hair follicles, poor diet. Here are some of the best home remedies that you can easily try to keep your mane healthy and strong. These home remedies will make your hair strong and make them more lustrous and healthy. Aloe vera is a common plant that is available in every household due to its major health benefits on the skin and hair. 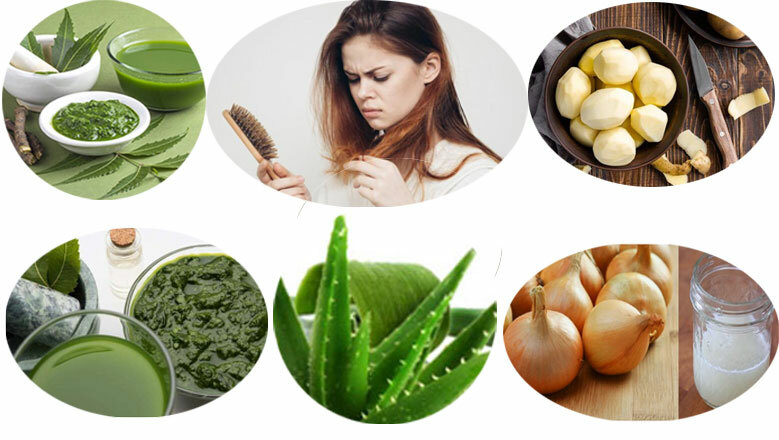 Aloe vera helps in balancing the pH level of the scalp and hair to promote hair growth. Take a stalk of aloe vera plant and extract the pulp from within. Now rub this pulp on your scalp gently for 5 minutes. Leave this gel on your scalp for 15 minutes and then wash off with cold water. Do this thrice a week to keep your scalp healthy and this prevents hair fall as well. Neem is antibacterial in nature that helps in keeping your scalp and hair healthy. It also helps in preventing the dandruff to occur on your scalp and stimulates blood flow to the hair follicles. Take 10-12 dry leaves of neem and 1 cup of water. 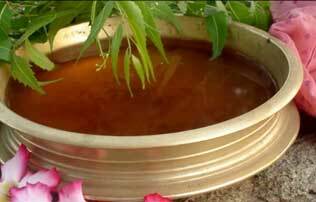 Boil this water in a pan and put these neem leaves in the boiling water. Let the mixture boil till it reduces to half and then take it off from the gas. Let the mixture cool down and then rinse your hair with this water. You need to use this water as a last rinse after shampooing your hair. Repeat this process once every week to keep your scalp healthy. Fenugreek or methi seeds helps in promoting the growth of your hair by rebuilding the hair follicles and gives shine to your hair as well. You take 2 tbsp of fenugreek seeds, 4 tbsp of yogurt and 1 egg. 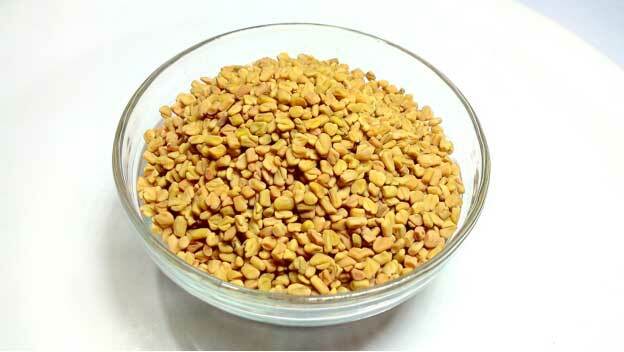 Soak 2 tbsp of fenugreek seeds in water overnight and then blend it to make a paste. Now add all other ingredients to this paste and mix well. Now apply this paste on your hair from root to tip and leave it for half an hour. After half an hour wash it well under running water to pull off all the paste from your hair and scalp. Apply this paste once or twice in a month to keep your hair strong and to promote their growth. Beetroot contains vitamins, iron and potassium that are essential for keeping hair healthy. Take few beetroot leaves and boil them in a cup of water in a pan. Boil these leaves for 10 minutes and take the pan off the flame. Let the mixture cool down and then grind these leaves. Add 1 tbsp of henna to the leaves and mix well. Make a smooth paste and then leave it on your scalp for 20 minutes. Rinse with cold water and repeat the process thrice a week. 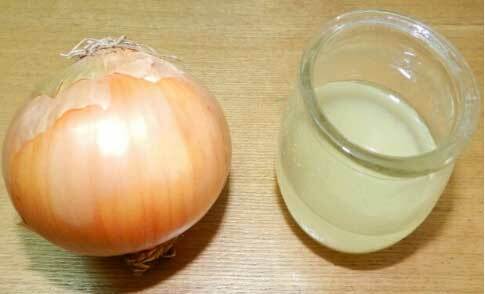 Take 1 onion and grate it finely to extract its juice, now add 2 tsp honey to it along with 1 tsp rosewater. Mix all these things well and then apply this on your hair. Leave it on your scalp for 40-50 minutes. Wash off after that with cold water and repeat this process once in a week to get strong hair and to prevent hair fall. Onion contains antibacterial properties that helps in cleaning up the bacteria from the scalp and has high sulfur content that improves blood flow to the scalp and encourages hair growth. Take 10 Hibiscus flowers and 2 cups of virgin coconut oil and heat them together on medium flame for 10 minutes. When flowers turn black in color then turn off the flame and keep this mixture aside to cool down. Strain the mixture in a bottle and apply this oil during night time in your scalp and leave it overnight. Wash off your hair next morning with a mild shampoo. Repeat this 2-3 times in a month to promote hair growth and to get strong hair. 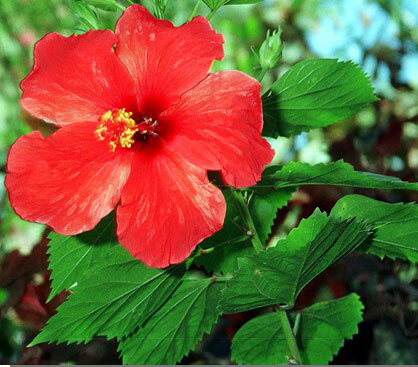 Hibiscus contains vitamins, phosphorus and riboflavin that keeps the hair smooth and strong. It also helps in promoting the blood circulation and enhances hair growth as well. Take 1 potato, peel its skin and cut it into cubes. Now add these pieces into a blender and make puree. Now strain the puree to extract the juice of potato in a bowl. Add 1 tsp of honey and water to this mixture and mix well. Now, apply this mixture on your hair and scalp and let it remain there for 30 minutes. Wash off with mild shampoo. Repeat this process once in a week to get strong hair. 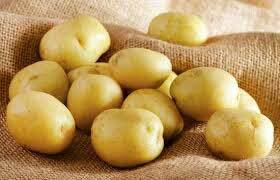 Potato contains potassium, iron and vitamins that encourages the growth of strong hair and prevents hair fall.